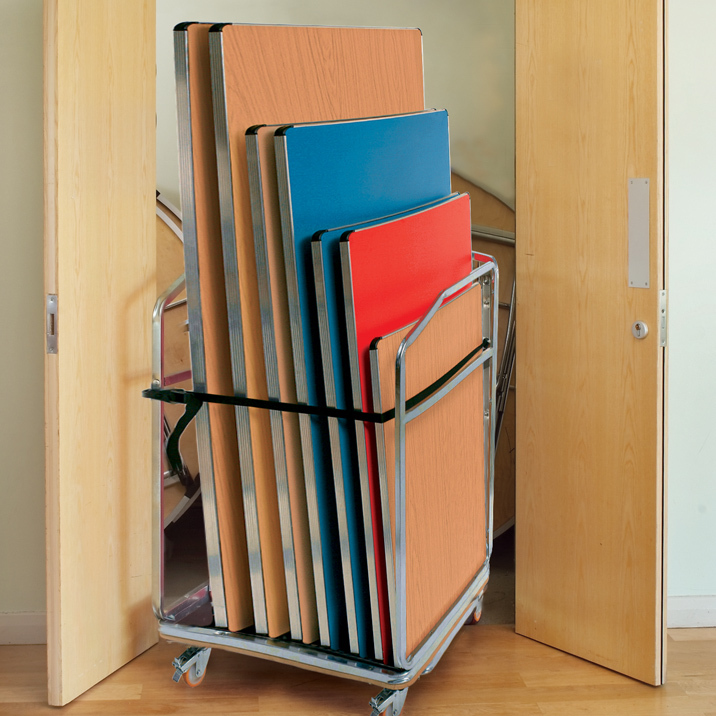 This trolley is designed with space and safety in mind to safely store and move tables to where they are required. It holds up to 7 Gopak folding tables. 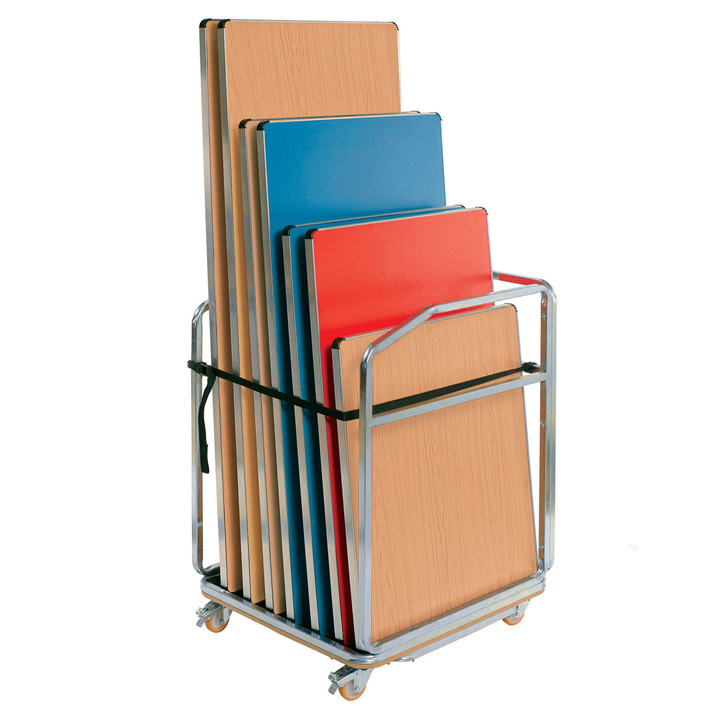 Manufactured from strong zinc-plated steel, these trolleys will prove to be a sound investment for your premises. Supplied flat-pack for self-assembly with step by step instructions provided. Comes complete with safety straps and brake castors for safe loading and unloading. This trolley will pass through a single doorway. View our full range of Folding Tables & Chairs.